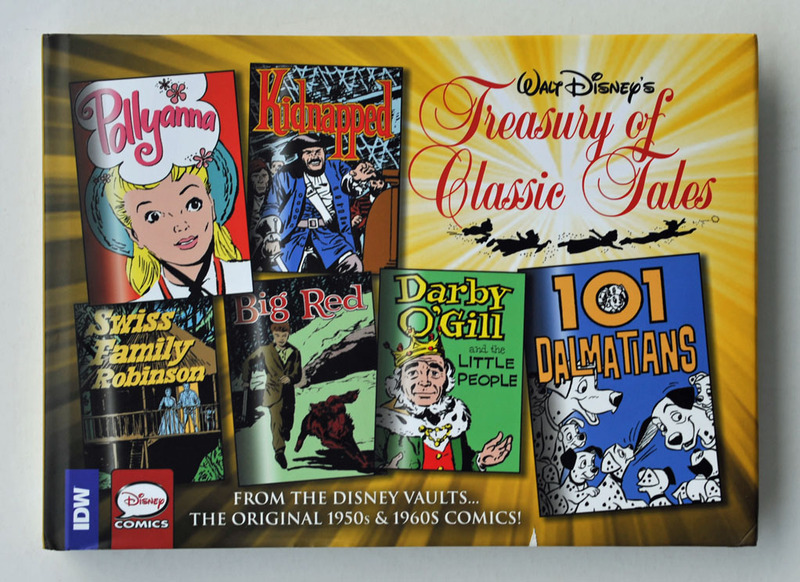 The third book in the Treasury of Classic Tales series got on sale last month and recently arrived in my mailbox. This book chronologically collects the Sunday pages from May 1959 to December 1962, starting with Darby O'Gill and the Little People and ending with In Search of the Castaways. As with the first two books, all stories inside are comic adaptations of Disney movies – both live action and animation. When this series started two years ago I was a bit surprised and also skeptical to the project, as I didn't think there was a huge market for the series. And comic adaptations of movies, and especially the live action ones are not the comics that interest me the most. But after three books I'm glad this series saw the light and it turned out to be a lot more interesting than I thought! I still haven't read all the stories in the first two books, but the way I did it (at least tried to) was to first watch the movie, then read the Sunday pages and I ended with the regular comic book adaptation of the same movie. This made it a lot of fun comparing the different versions of the story and I might do a couple of blog posts about this if I get around to it. I want to read the rest this way too, but unfortunately not all these movies are easily accessible and I don't have any home media releases of most. But I'm not in a hurry, I'm just glad these rare Sunday pages finally got collected and are available for when I'm ready to read them! 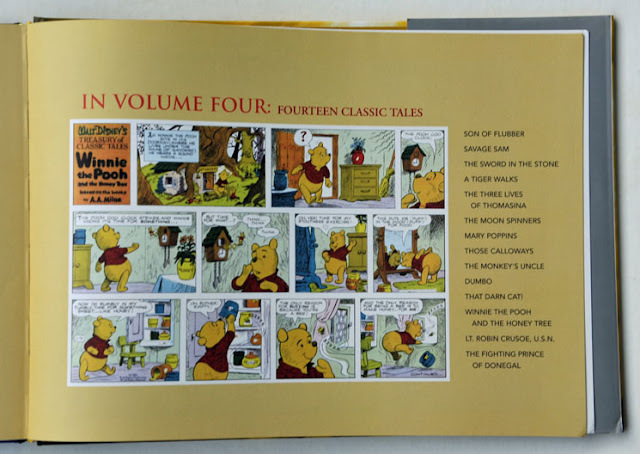 Sadly, it looks like the third book will be the last book in the series, but we do get a page inside the 3rd book suggesting that a 4th volume was planned too. But according to a podcast in April this year, the series will be cancelled after volume 3. They originally planed 4 volumes, but they won't be able to do more books because of low sales. According to the podcast the Disney Archives in Glendale have proofs for enough stories to do the first 4 volumes complete, but after this they only have source material for sporadic stories for the rest of the series. So I guess it would be a lot of work tracking down sources and maybe restoration work have to be done too if they wanted to do the entire series complete. But looking at the list of stories planned for the 4th volume, Miracle of the White Stallions is missing – it should be between Son of Flubber and Savage Sam. So it sounds like they already had to start skipping stories in this volume too. Is there any reason why the hair colors of Darby and King Brian were reversed here, do you think? I had no idea until you pointed this out! But doing some searching it looks like the hair color actually is changed compared to the movie. I tried to find pictures of any newspaper clippings from the story, but it looks these Sunday pages really are rare, because I can't find a single example anywhere online! The colors used in this book is supposed to be a re-creation of the original coloring so I guess the original newspaper coloring had the hair color swapped too. It would be interesting to be able to confirm this. 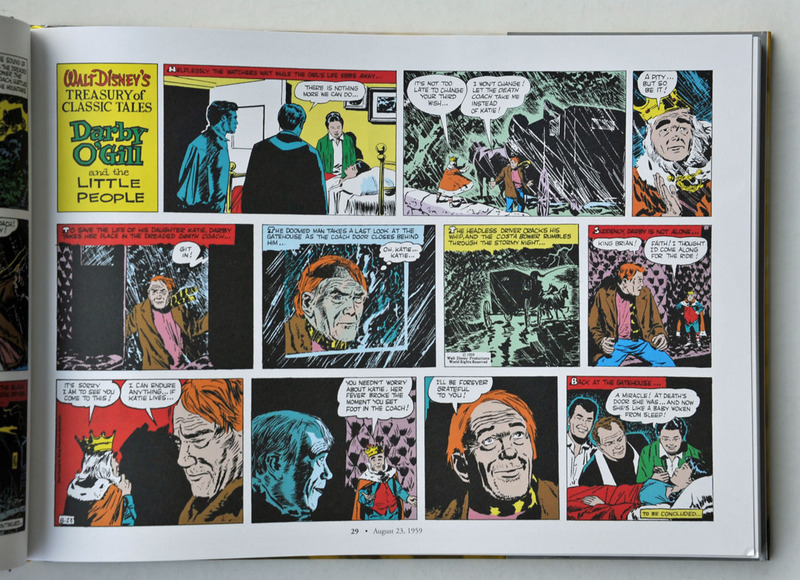 I don't have the Dell/Gold Key comic adaptation of this story either, but from the scans I find from this story the coloring is correct there. Also, I guess all leprechauns are supposed to have red hair (even if old), so this makes it even more strange.